USA Hockey announced today the pre-tournament camps for its 2019 U.S. National Junior Team that will compete in the 2019 International Ice Hockey Federation World Junior Championship in Vancouver and Victoria, B.C. 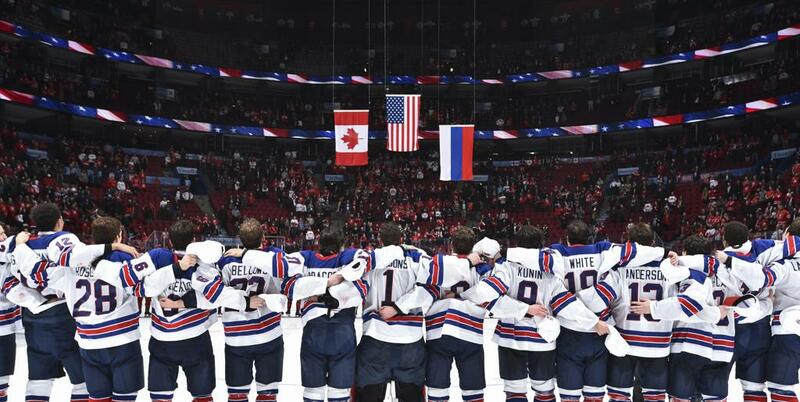 The U.S., which enters this year's tournament having medaled in three-straight IIHF World Junior Championships for the first time (gold - 2017, bronze - 2016, 2018), will convene at Angel of the Winds Arena in Everett, Wash., for its initial pre-tournament training camp from Dec. 15-17. The team will then travel to Kamloops, B.C., where it will hold skates from Dec. 18-20. Practice times will be released in the coming days. The preliminary roster for the 2019 U.S. National Junior Team will be unveiled in early December. NOTES: Practice times and media credential details for both Everett and Kamloops camps will be released in the coming days ... John Vanbiesbrouck (Detroit, Mich.), USA Hockey's assistant executive director of hockey operations, is serving as general manager of the 2019 U.S. National Junior Team ... Mike Hastings (Crookston, Minn.) is the head coach of Team USA and joined by assistant coaches David Lassonde (Durham, N.H.), Steve Miller (Colorado Springs, Colo.), Scott Sandelin(Hibbing, Minn.) and Jerry Keefe (Saugus, Mass.) ... In August, 42 players attended the 2018 World Junior Summer Showcase in Kamloops, B.C. ... Complete details from that camp, including rosters and statistics, can be found here ... USA Hockey's international council, chaired by Gavin Regan (Potsdam, N.Y.), vice president of USA Hockey, has oversight responsibilities for all U.S. national teams.